Yes. 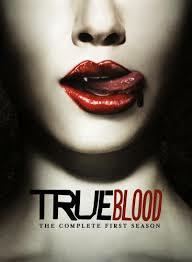 I am a fan of HBO’s original series True Blood. Summer 2014 begins the series 5th season with a bloody situation (laughing devilishly t myself). 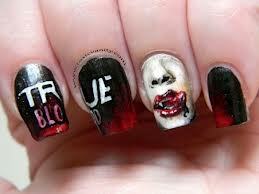 So, to secretly take True Blood with me everywhere I go I ventured to get my nails done to pay homage to the show. Since the True Blood synthetic factories have temporarily closed down this will have to do in the meantime. I had a few photos of some inspiring designs but not sure which I should get. Tell me what you think? I will have one of these designs ready when season 6 premieres. This is grusome but probably too grimmy for the workplace. Not sure about this design. I suddenly have cravings for the show…but HBO is not paying me to be a billboard…yet. This can freak some people out. I wanna keep my friends not scare them away. Very inspiring! This is vampy for sure! Yes…I said it VAMPY! It’s dark, mysterious and sensual. *Breathes in deeply* ahhhh all the things that remind me of the show. This is made the list. This photo is nearly perfect! 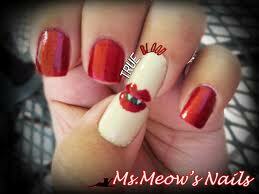 I would choose a more deep rich red for the pointer, middle and pinky fingers. 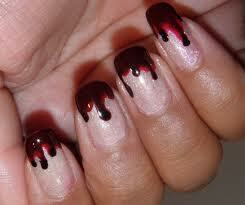 Then, a dark steel color for the ring finger and thumb as a background to the lips and fangs. Makes the list! Nothing screams fang bang than these wonderful rich colored nails. 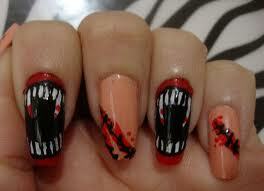 I would do two upper fangs on both designs which would rest on the ring fingers. This is definitely a strong contender on the list!